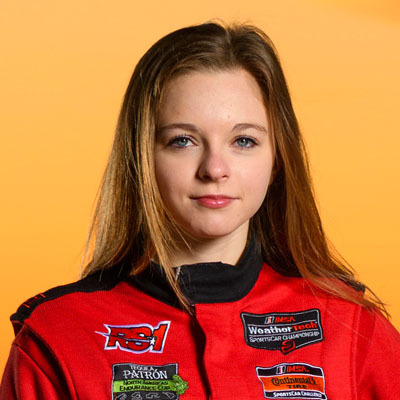 Courtesy of Girl’s Guide to Cars: A PASSION FOR RACING, LEARNING, AND MUSIC DRIVES THIS TEEN SPORTSCAR RACING SENSATION. It’s the gap year that every parent dreams of: take a year off to continue a successful racing career, start a mentoring program for girls, work for a highly successful healthcare startup and then, start freshman year at Harvard. That’s what 19-year old Aurora Straus decided to do after graduating from high school. A teen SportsCar racer, musician, founder of #GirlsWithDrive, assistant to ZappRX CEO and rising Harvard freshman, I chose this assignment specifically because Aurora’s story would resonate with my own daughter. Aurora did not grow up like other kids who are into racing. In her first ever racing school she was in the program with other students who had started karting at 2 years-old. The first time that Aurora had gotten behind the wheel was at age 13. She was a self-proclaimed scaredy cat but she and her father agreed that she needed some basic car control skills before she got onto public roads. She went to Monticello Motor Club, where her father, Ari Straus, is CEO and Managing Partner, to learn defensive driving skills. The intention was never for her to become a race car driver.